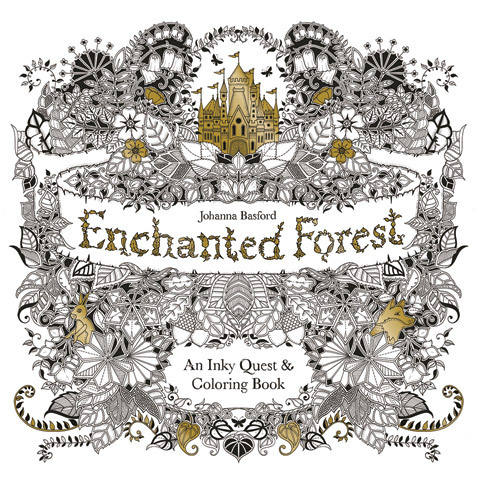 This stunning new coloring book by Johanna Basford takes readers on an inky quest through an enchanted forest to discover what lies in the castle at its heart. As well as drawings to complete, color and embellish, there are hidden objects to be found along the way including wild flowers, animals and birds, maps, lanterns, keys and treasure chests. Beginning at the entrance to the forest, the journey progresses through woodland, rocky caves and tree-lined mazes, over streams and a waterfall, across the trees tops, to finally reach the castle.